A few weeks ago I responded to a request to contribute to a children’s story book entitled ‘Once Upon a Time’ to raise money for Save the Children. I have always wanted to write for children but have struggled with the inspiration. This was my perfect chance to have a go and raise money for a fabulous cause. Myself and 16 other bloggers have written short stories for young children. The only rules were that the story should begin with ‘Once Upon a Time’ and should be written in 350 words. I was lucky to already have an idea in mind. This was based on a story I told to my 7 year old when she was afraid of going to bed because she thought she might have bad dreams. It was incredibly difficult to condense this into 350 words . After multiple edits I got it down to under 400 but not quite to the 350 . It made me realise that writing for young children isn’t as easy as it looks. 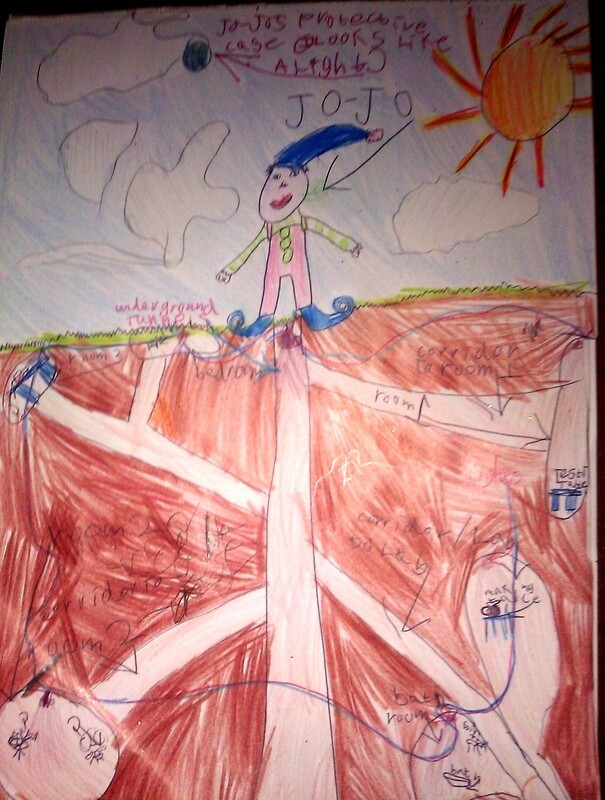 The illustrations in the book are all provided by our own children – this is my 7 year olds picture that appears with my story. All the writers have given their services for free so that we can raise as much money as possible. The book looks really beautiful and would be a very special present for a child who loves stories. I hope this won’t be my last attempt at writing for children, I have ideas for a few more projects so watch this space. To order a copy and view a preview click on the picture on the top right hand sidebar or here .